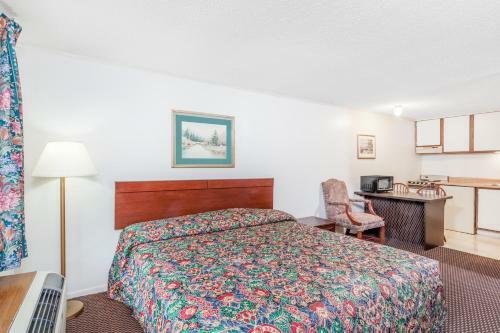 Description This Corbin, Kentucky hotel has an outdoor pool, non-smoking guest rooms and free breakfast. This hotel is also pet friendly. 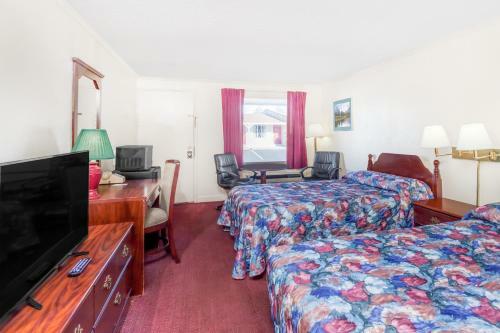 A heated pool free Wi-Fi and easy access to the highway and attractions are highlights of the Knights Inn Corbin. 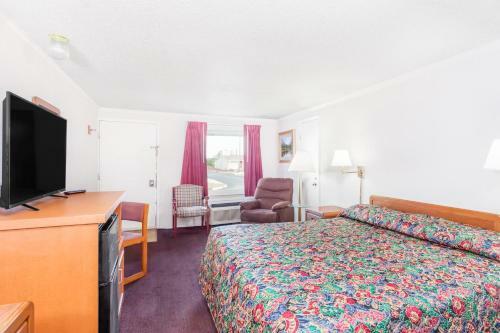 All 109 rooms at this low-rise property include coffeemakers premium cable TV and free local calls; some rooms include kitchenettes and non-smoking rooms are available. Stumble out of bed just in time to feast on a complimentary continental breakfast of fresh Belgian waffles. 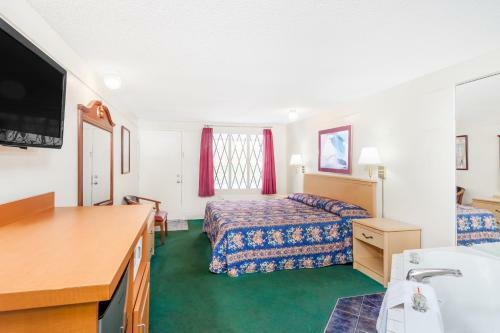 Catch some Southern rays by the heated outdoor pool open seasonally and wash your duds in the guest laundromat. Pets are welcome for an added fee and parking is free. 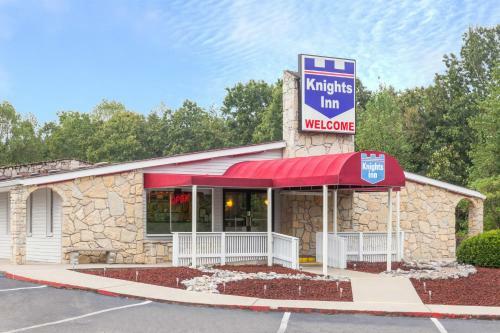 Located off I-75 the Knights Inn is three miles northwest of downtown Corbin. 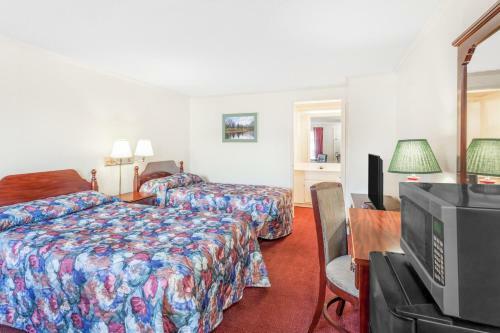 You're five minutes from Corbin attractions including the Kentucky Native American Heritage Museum and the Harland Sanders Cafe and Museum. Drive five miles to make a splash at the Tri-County Aquarium attend an event at the Arena or tee off at the Tri-County Country Club. 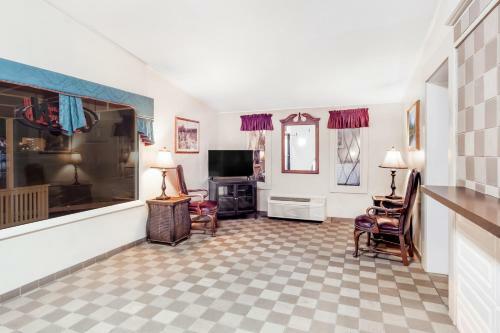 Cruise 30 minutes west to launch your boat from Grove Marina on Laurel Lake and 35 minutes to check out the Niagara of the South at Cumberland Falls State Resort Park. Hiking in Daniel Boone National Forest is 15 minutes west. Lexington's Blue Grass Airport is 93 miles north and McGhee Tyson Airport is 100 miles south in Tennessee. 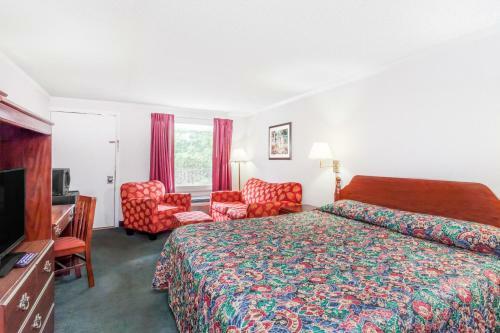 Add Knights Inn Corbin to your free online travel itinerary.